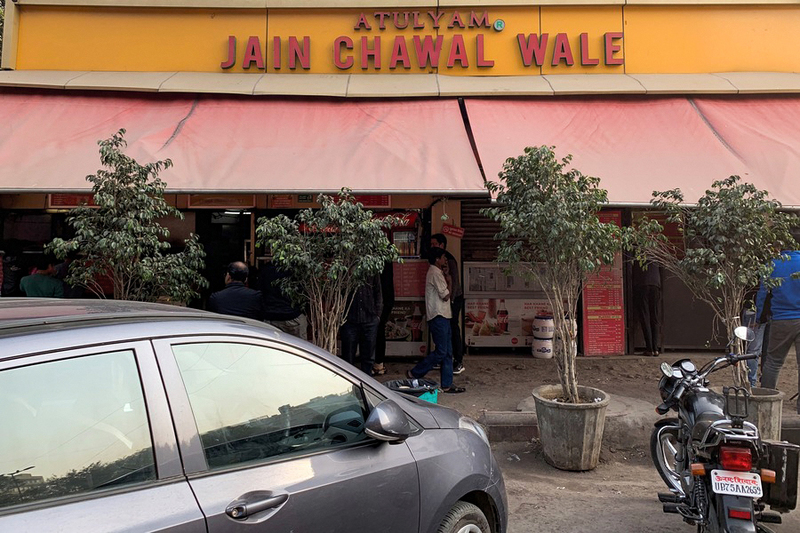 [New Delhi] One of Delhi’s well-known street stalls, Jain Chawal Wale serves finger-licking comfort food bursting with flavours and at times, lots of butter. 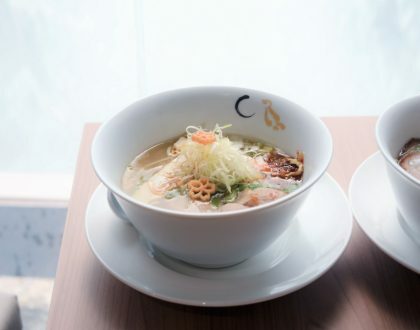 The nostalgia associated with the restaurant is not just limited to the food but also the prices which make it the go-to place for people from all walks of life. 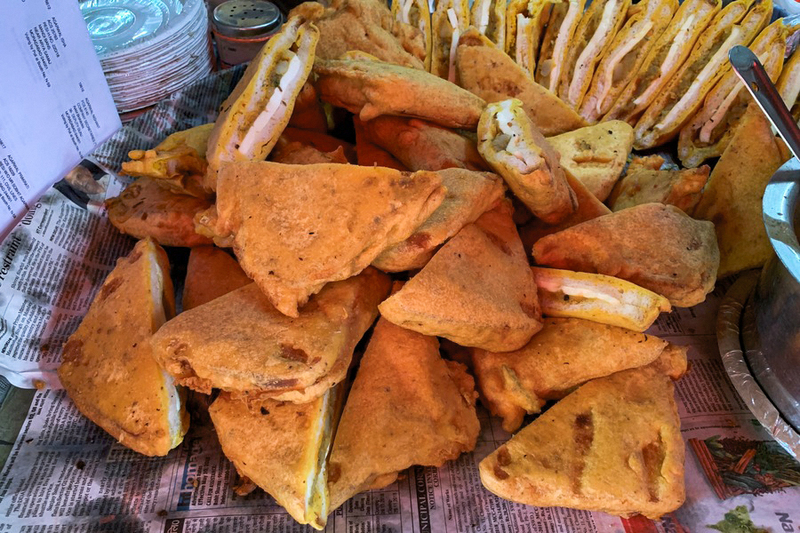 Walking around Delhi, every part of the city has a famous street stall that is frequented by the locals. 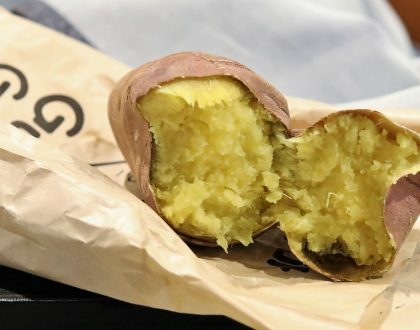 Some, over time, have achieved legendary status making them the ideal place to grab a quick bite at any time of the day. Jain Chawal Wale’s speciality is the piping hot, freshly made, classic dishes that are served quickly, and at unbelievably low prices. Considering that the restaurant is in one of Delhi’s most prominent locations, the simplicity to the outlet and mode of operations is what makes eating here all the more special. 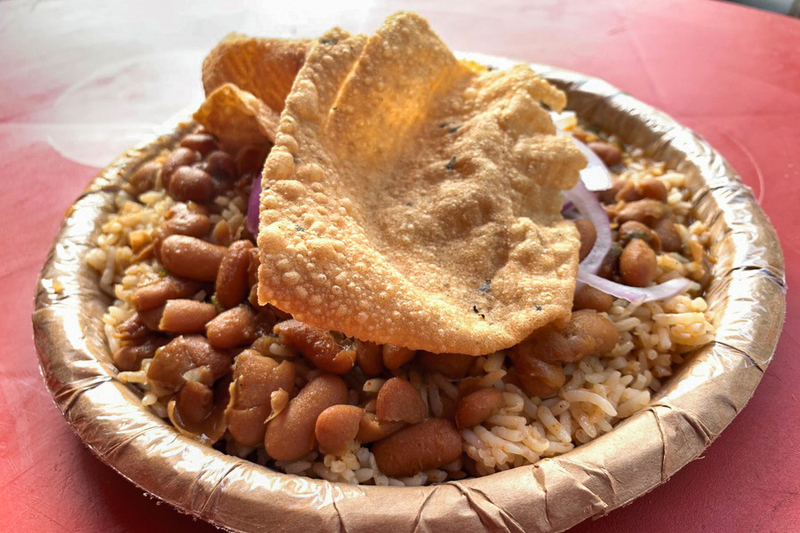 As the name suggests, Jain Chawal Wale is all about traditional North Indian rice dishes that includes their most popular offering, Rajma Chawal. The ideal place for an early morning breakfast, there is a no-fuss attitude to the restaurant. The place consists of 4 shops next to each other. Two of these are for cooking and serving, one has a cashier, and the last shop has a few tables to sit and eat. Patrons are required to take a ticket upon payment and then go to one of the two counters and take their orders. While at Jain Chawal Wale, one must let go of all their inhibitions and cherish the experience of eating next to a road because the food is definitely worth it. There is an option to eat in a small enclosed area, but I much prefer the proper street-side eating experience by grabbing one of the standing tables. 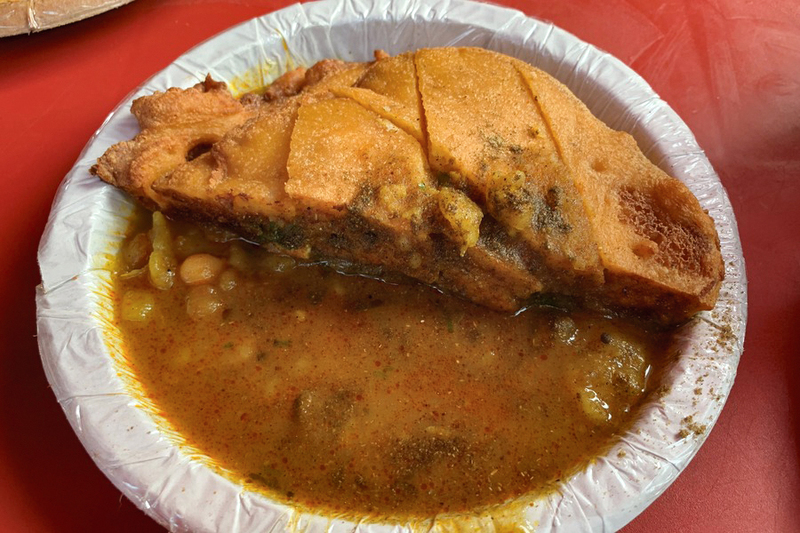 Eating at Jain Chawal Wale is all about indulging in good food that might not always be the healthiest. 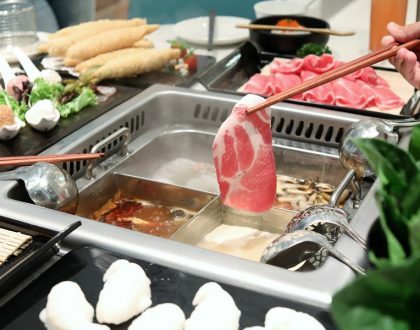 The restaurant offers everything from paranthas and rice dishes to pakodas and even a few Indian influenced Chinese dishes in the form of spring rolls, fried rice, and chowmein. The whole idea of visiting Jain Chawal Wale is to stick with the traditional favourites. 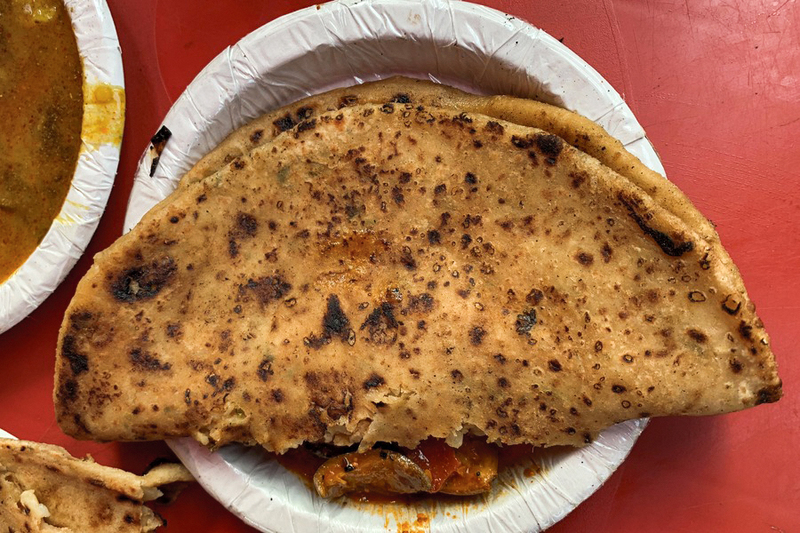 The paneer, gobi, or aloo Paranthas (Rs 60, SGD1.15) are delicious, not too thick, and with good enough fillings. 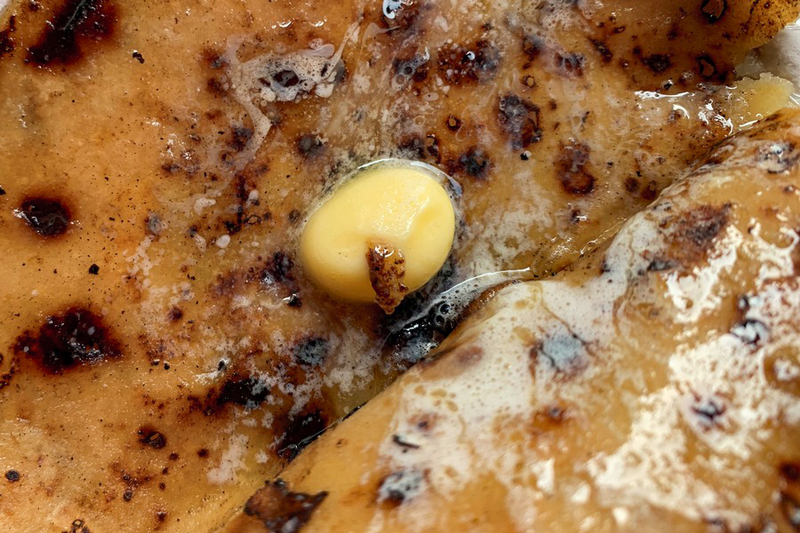 They do come with a melting square of butter in the middle, so if you are health conscious, remember to ask for no-butter beforehand. The Rajma Chawal (Rs 70, SGD1.35) served here is considered among the best in all of Delhi. I appreciated that the red-kidney beans in gravy had good consistency. A watery rajma chawal can be off-putting and tricky to eat while standing. 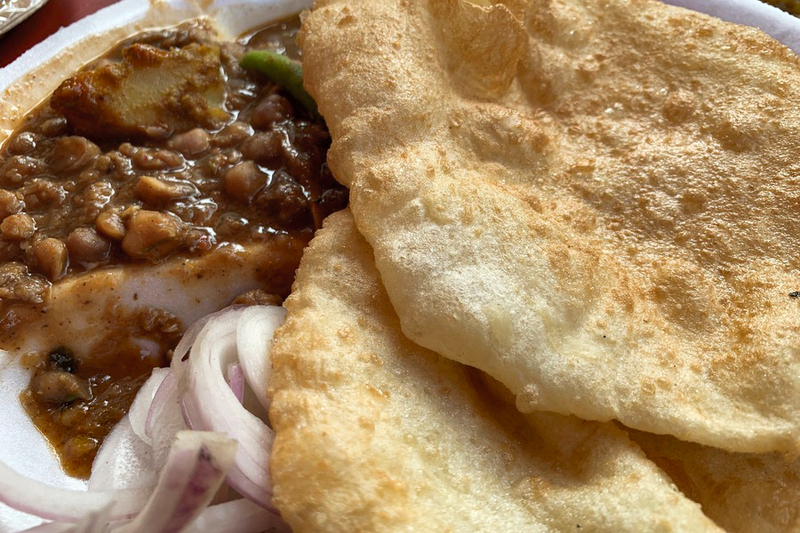 My favourite though was the warm Chola Bhaturas (Rs 70, SGD 1.35) that were fluffy, moderately spiced, and ideal for consumption on a chilly winter morning. 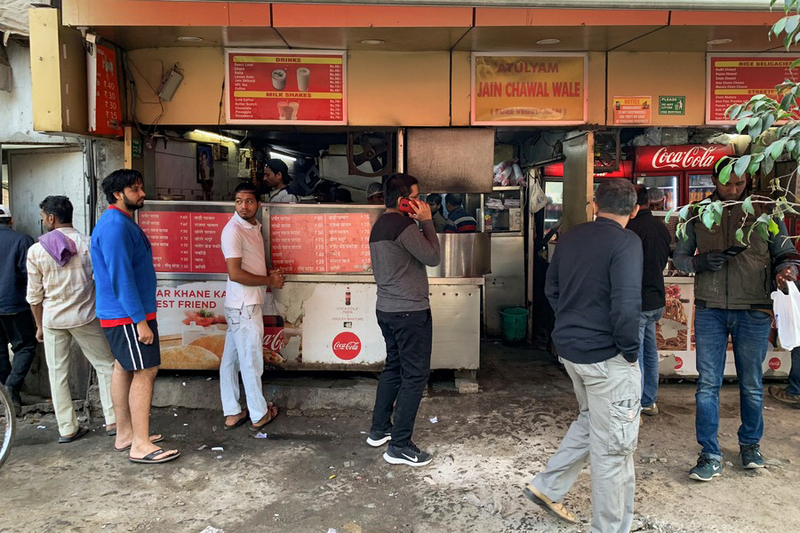 Jain Chawal Wale can get crowded at meal hours, especially on weekdays as students and office-goers often come here for an early breakfast or during lunchtime. Sunday morning is an excellent time to eat in a slightly relaxed manner. The famous milkshake and cold-coffee chain, Keventers has a stall next to the restaurant. Although slightly expensive, it isn’t a bad idea to pick up a drink here because I found the tea at Jain Chai Wale to be below average. 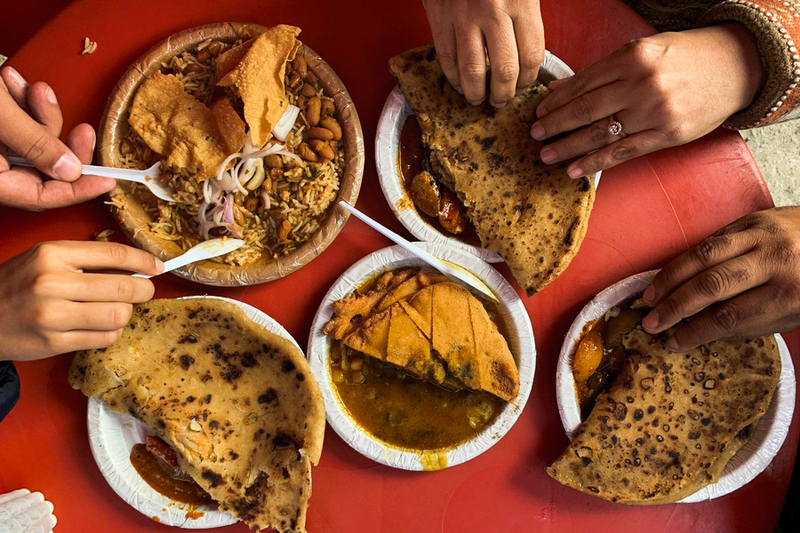 Eateries such as Jain Chawal Wale are an integral part of Delhi’s culinary heritage worth celebrating. The fact that they continue to serve delectable dishes at budget prices shows their passion for food. 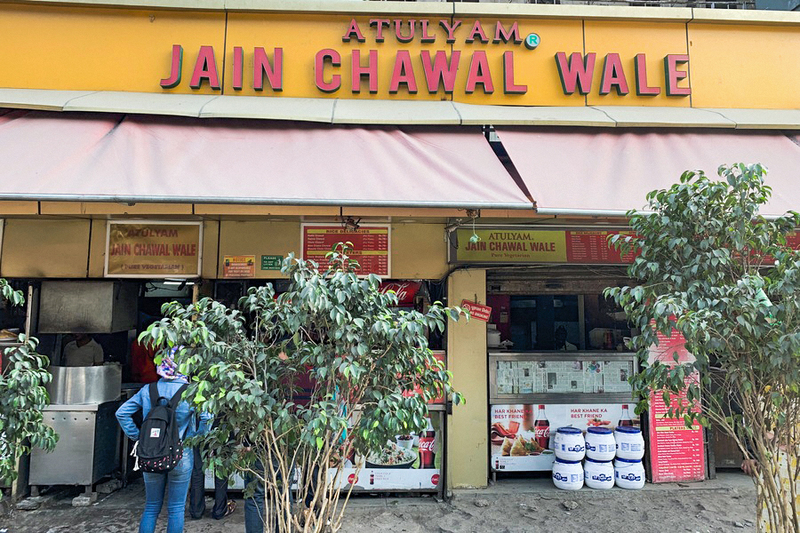 Whether it is a quick bite at odd hours, a hearty breakfast, of a filling dinner, Jain Chawal Wale promises a dreamy food coma by the time you’re done eating there. * Written by DFD’s India Correspondent @tickereatstheworld. Raghav is a travel and food writer who enjoys the thrill of discovering new places and writing about them. When he is not working, he can be found driving around his two kids from one birthday party to another.